Give your kitchen counter or breakfast island a touch of style with this beautiful Corliving low back bar stool. Its contemporary style makes it an easy fit in any room or location in your home. Easily adjust the seat to match this chair with any size bar or counter. Its chrome base frame gives a stylish flair to this piece, surprisingly easy to match with other decor. 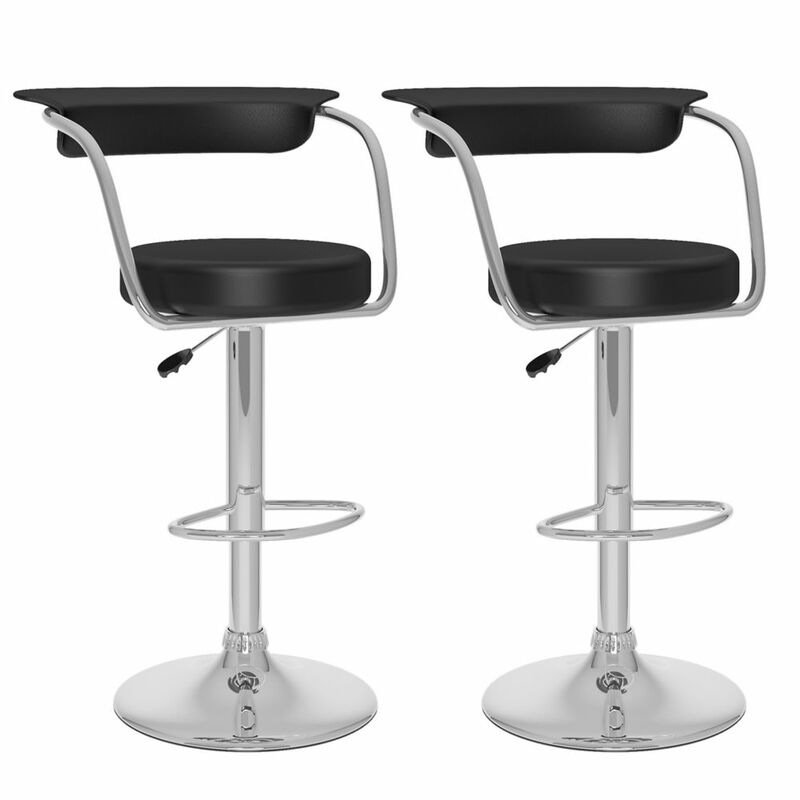 B 107 UPD Metal Chrome Low Back Armless Bar Stool with Black Faux Leather Seat - Set of 2 Give your kitchen counter or breakfast island a touch of style with this beautiful Corliving low back bar stool. Its contemporary style makes it an easy fit in any room or location in your home. Easily adjust the seat to match this chair with any size bar or counter. Its chrome base frame gives a stylish flair to this piece, surprisingly easy to match with other decor.